With the full Moon behind us, we now begin to see how the dust is settling into new forms and different feelings. 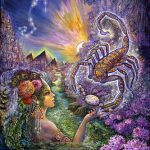 Mars enters the final degrees of Scorpio where we end a transformative phase, release what we’ve outgrown, and focus on expanding into new, unfamiliar territory. We also tell the truth, bluntly in most cases, and may enjoy, more than usual, a fight or argument. 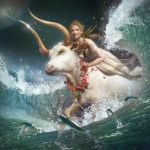 In fiery Sagittarius by Saturday, Mars flexes his muscle, has energy to burn, and tends to act in ways that say “I know it all”, or, at the very least, “I certainly know know more than you do.” Mars craves broader experience in Sagittarius and does not cope well with anyone who tries to restrict that. Which brings us to the very tense Mercury/Pluto square already in progress. Bad news reflects severe imbalances of some kind, threatening to disrupt an already shaky status quo. The elite feel threatened, in danger of being toppled, and our “inner elitist” is on the defensive as well. New, unfamiliar action is required. I will try to personalize that for each sign. 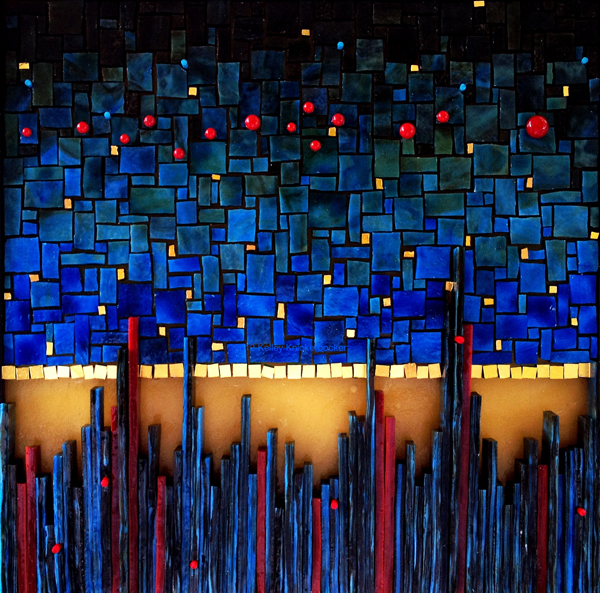 By the weekend the fireworks may fly in every direction Uranus wants to blow it all up to make room for something more humane and equitable. Our approach to relationships may be changing in profound ways. Old commitments, alliances, and agreements may go up in smoke. 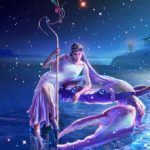 The Sun sextile Saturn aspect gives us the opportunity to apply innovative methods with a self-disciplined and a dispassionate approach increasing our odds for success. 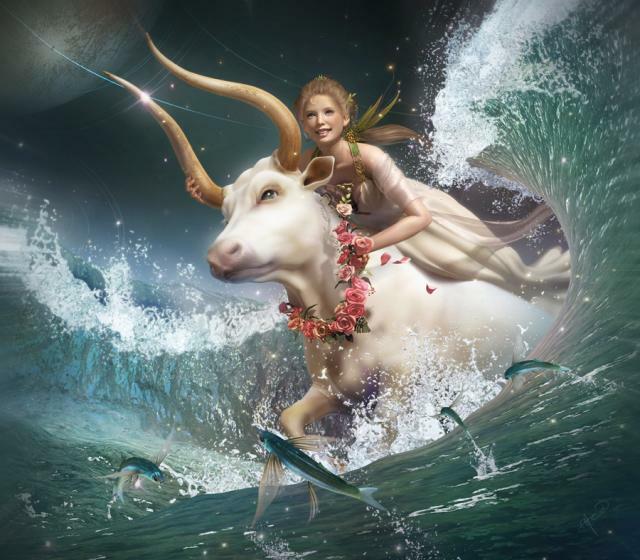 Its an action packed week and Venus is helping to clarify important details and to make it easier for us to maintain personal integrity as we navigate difficult and unexpected challenges. Holly RePenn RN., MS., NMH., C.A.P. As the week begins patience and persistence is required. It may not seem like the right time to act to change patterns in relationships. But, at the same time, circumstances may demand a new kind of action as your attempts to balance relationships at your own expense begins to bear some particularly poisonous fruit. 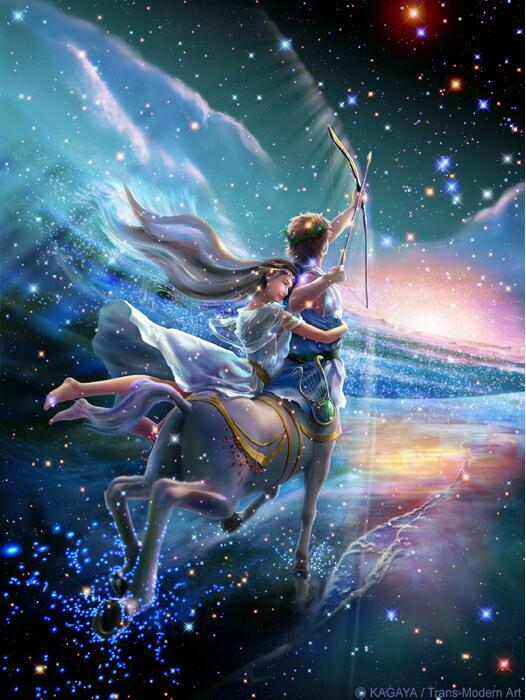 This week you may need to make a clean break from the high wire “balancing act” your been performing within the realm of relationships for far too long. The lesson seems to be that’s it’s too restricting and designed to fail because it never adequately takes into account the “you” factor. You’re coming to the end of the road and tough decisions may need to be made. But if you make the courageous choice you free yourself to expand into some new experiences that greatly enhance your life, give you great wisdom, new faith, optimism, and, most importantly, the freedom to direct your life in a more satisfying direction. This week appears challenging as it becomes more critical for you to balance belief systems, act with faith, or communicate effectively while the need for a personal transformation intensifies. No longer is it easy to avoid. Something critically important is at stake. It may involve decion-making that affects a child, your work, or your ability to express love and enjoy life. The key seems to be a willingness to let go of something you’re desperately clinging to. It involves your most important relationships and your beliefs about how they should work. Something deeply ingrained keeps you restricted and unable to freely navigate. It’s up to you to identify exactly what that is. You are coming to the end of an important phase in relationships. 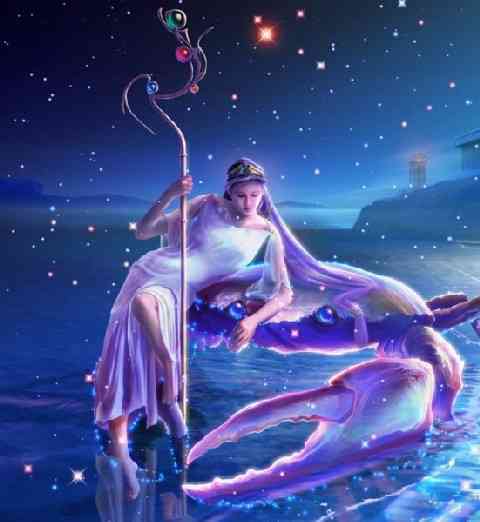 Mars enters the final degrees of Scorpio signaling it’s time to break free of someone or something or forever hold your peace. Not really, but you may have to live with decisions made at this time for a very long time, so make sure they come from a place of wisdom and courage – not fear. Waiting on the other side is the ability to believe in yourself and to actualize your amazing potential. The week begins with some intensity surrounding the need to make decisions that involve loss, possibly the loss of a relationship, financial security, sexual intimacy, or some aspect of your psychological conditioning. Or maybe all of the above. In any case you’re being challenged to integrate your past in ways that are less guilt ridden and more respectful of you. Freedom of expression within relationships may be an important issue as well. 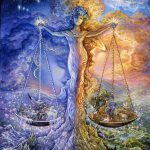 That freedom may involve opinions and facts related to health issues, work methods, and the general concept of balance, intertwined with some aspect of social approval. To put it mildly, it’s complicated. What’s at stake may be your ability to prove your competency, to be recognized and respected as an authority, to project a more cohesive approach, and to make the healing impact you know you’re capable of making. Empowering yourself is possibly the central issue. This week may be the turning point as restricting an idea or opinion becomes intolerable. You face the stark and reverberating consequences of censoring yourself and those may no longer seem justifiable. 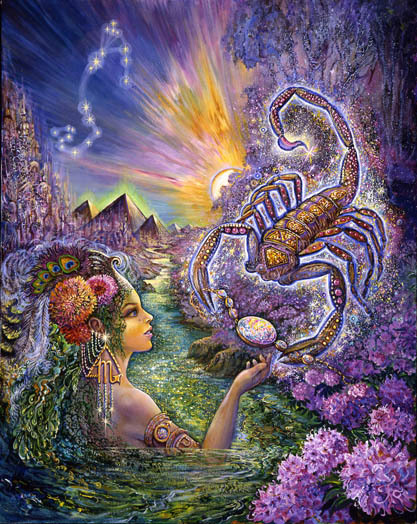 This week Cancer may face some tough decisions regarding past relationships, home, family, and emotional security. What seems to be challenging is the need to make a decision, to move in some new direction, to take some new kind of action to reconcile power struggles in relationships. At the root of it all is your ability to confidently and authoritatively express your power in ways that make an impact, in ways that balance, heal, and infuse relationships with more love, joy, and pure fun. Expressing your power in creative ways is critical to your happiness. Sharing power is critical as well. There is a critical need for some smooth give and take, especially where financial responsibility is an issue. This week presents an opportunity to heal a relationship with a neighbor or sibling, to integrate a more effective communication style, to get rid of the guilt, and to prove your competency in handling family matters. 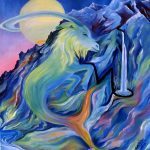 You are approaching the end of a phase of transformation where your actions involving children, love affairs, and your creative approach to life have undergone serious transformations. Ahead is a period of rapid growth and tremendous expansion involving your work, health, and more freedom to approach responsibilities your way. This week offers the opportunity for financial improvement through creative means as old commitments from the past dissolve. 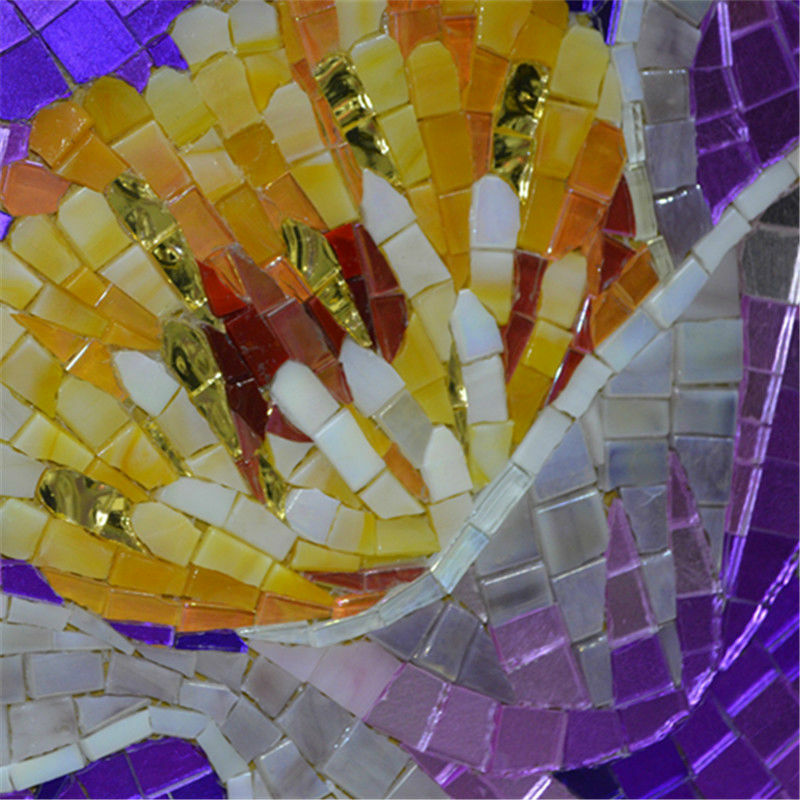 Passionate involvement with the home and family play into a fortunate mix of ease, flow, and emerging possibilities. Your sense of identity these days may be related to your income and your ability to finance what’s needed. Fortunately you are a “wealth of creative ideas” when it comes to money. Today and tomorrow may be good days to nail down the actual cost of a home improvement or restoration project or the final cost of family obligations, needs and desires, As work involving home, family, or the past reaches some kind of finalization point, creativity, entertainment, and fun times replace heavy family responsibilities. Life feels lighter and reasons to feel optimistic, adventurous, and free abound. Things are on the upswing. The only caution is some inflexibility related to responsibility, domestic routine, or taking into consideration more sensitive factors. Communication may become tense as the need for more freedom, or for things to move along faster, comes into play. 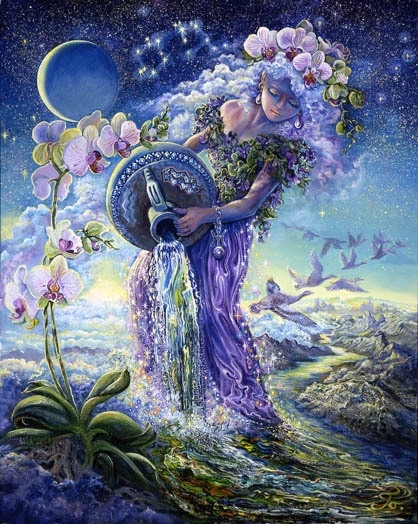 For Virgo the dust may be settling and the air clearing some where relationships are concerned. 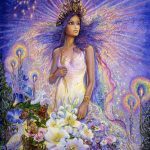 After a period of confusion you may be gaining some new insight into how you can be a force for healing and integration. Old inflexibility and insecurity involving the creative stabilization and accumulation of wealth surfaces in ways that conflict with your ability to pleasantly discuss financial options, to generate or communicate ideas that could further free you from some limiting collaboration or lack of trust. In fact, fireworks may ensue as you fear your power may beslipping away. Some kind of new, unfamiliar action is required today. It’s time to finalize a contractual agreement, to finish a complicated discussion, to end a complicated sibling or neighbor rivalry, to put the finishing touches on a financial plan for the future. And then it’s time to focus your energy on your family, your home, your emotional growth, or moving into some new adventure involving the past. 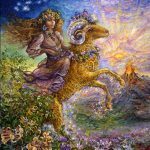 Libras may be feeling isolated this week, in need of restoring their “relationship reserves” and to replace energy depleted through attempts made to maintain and sustain civilized and pleasant communications. Recent strains may have taken a toll. 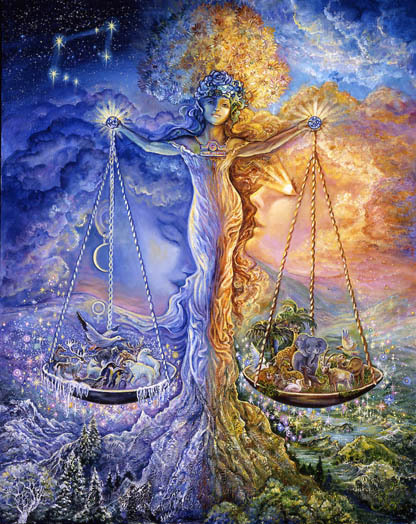 Astrologically it seems wise to take a break from any demanding interactions until some internal balance is restored. But that may be very challenging this week. Old, deeply entrenched insecurities, may surface as you feel in danger of losing control over family, finances, or the direction of your life. 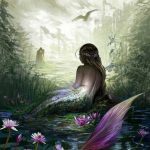 Connecting with the healing goddess who now residing in your 12th house of aloneness, in the form of Venus in Virgo, could be your saving grace. She’s waiting for a signal from you that you “get it” when it comes to needing to resolve everything on your own. You can’t and you don’t have to. 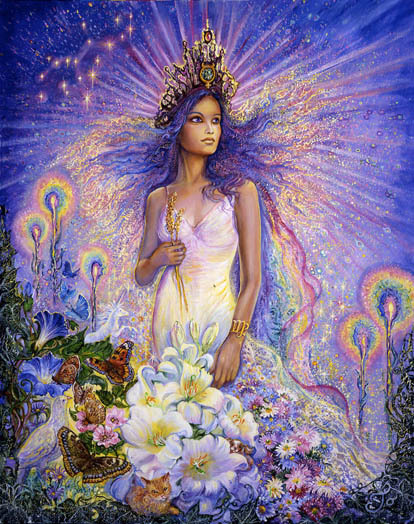 Wishing to be free of relationships while needing to control them is a dilemma made for a “higher realm” goddess. She knows how to reconcile it and you just have to focus on her and be open to her help. Very soon you will need your energy restored to communicate ideas, to express optimism, hope, and faith in the future of relationships. 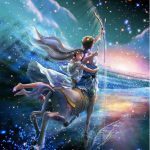 This is an action packed week for Sagittarians as they initiate, on Saturday, a new, more forceful way of expressing their philosophy of life, expanding their freedom, growing by leaps and bounds, and possibly navigating their way through something very foreign – a foreign country or a foreign way of expressing their style. You may feel the need to change your look. There is the distinct possibility that you will find great love and happiness as the result of some amazing new adventure. 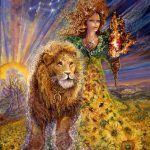 The Sun sextiling Vesta presents you with the opportunity to enhance your passion for connecting with your inner spirit through highly creative methods of healing. But over the next couple days it’s important that you unravel some complications involving money, self-worth, values and priorities. Communication with a friend or making a decisions involving groups , your social life, or professional networks may be pressing. Most likely these are difficult actions you would prefer to avoid. But avoiding them could make your new beginnings less wonderful than they might otherwise be. This week some powerful assertion involving money, some ruthless action, power play, or style rooted in old psychological conditioning conflicts with your desire to keep your reputation pleasant, kind, peaceful, fair and just. Some new kind of action is required to resolve the hard feelings and family impact. There is unpredictability and uncertainty surrounding the issue making it all potentially volatile and destructive to your carefully constructed professional foundations. Character issues are involved as well as emotional sensitivity. 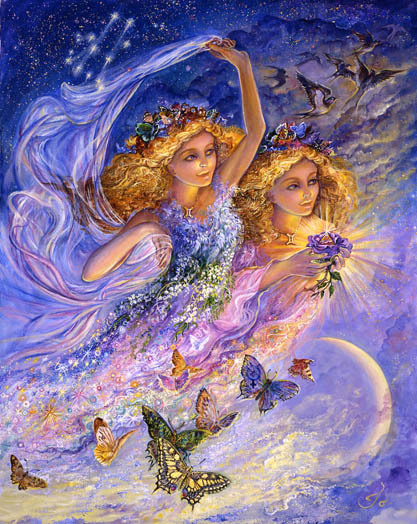 There is a phase of transformation ending within the realm of friends and groups on Friday. It would be good to take some action to resolve issues before the beginning of the new phase on Saturday, so as not to sabotage upcoming opportunities. The wisest approach appears to be a willingness to look a little deeper into what motivates you, what influences your style and approach, where your real source of security lies, and how your committed relationships impact and are impacted by your actions. 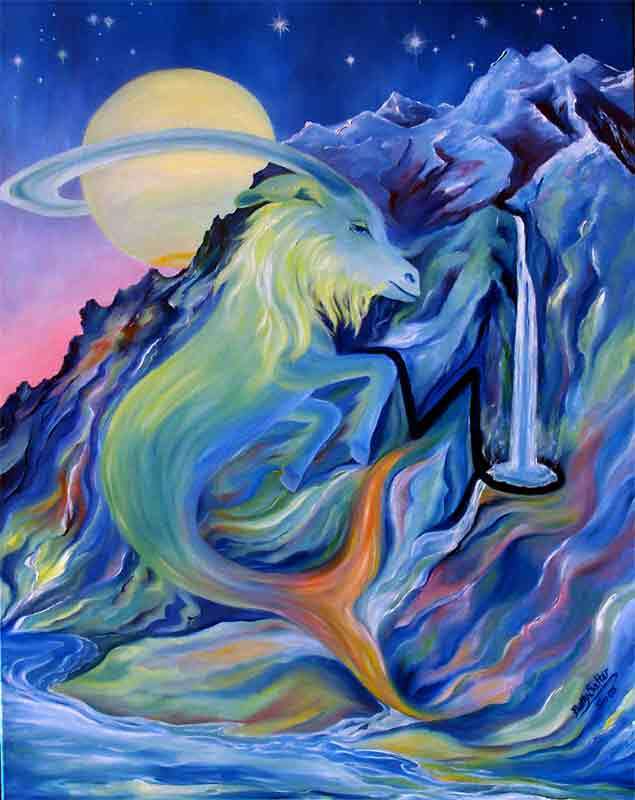 For Aquarians there is a struggle to maintain power over the direction of your life. Relationship issues over which you may have little control, may feel demoralizing and undermining to your sense of optimism and confidence. Lashing out may expose your vulnerabilities to those who would be prone to take advantage of you. 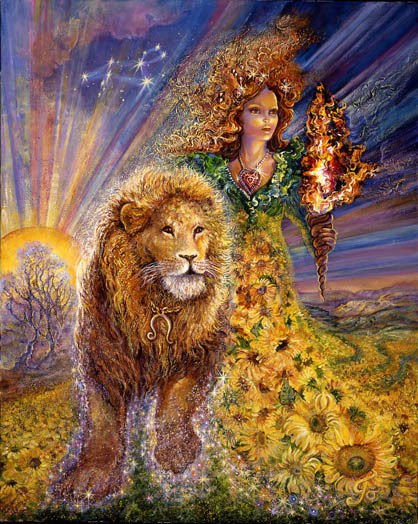 This is a time to move inward, to become more connected to spiritual sources of power, to lay low, and to focus intently on what you can control. Weakly clinging to what is slipping from your grasp is a waste of energy. This week you will become aware, through relationship conflicts that highlight a lack of trust and fairness, how old perspectives limit you, and how your relationship to your own power to control your life’s direction is ultimately being revived through some loss. It is necessary to focus your energy away from unrewarding ideas, habits, and people and to channel aggression into determination and will power. 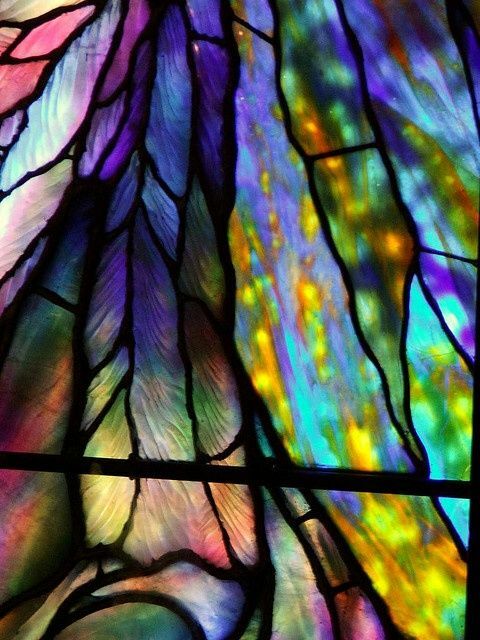 The energy of your mind needs to be freed to focus on the truly promising new connections that can be made in the areas of friendship, group participation, and community involvement. This week Pisces attempts to pinpoint the flaws and the source of relationship problems, to wade through confusion, and to renew their sense of focus and balance. Conflicts involving friendships, ulterior motives, trust issues, and distorted psychological conditioning may all enter into the mix. Simplification seems to be the key that could unravel the whole mess and restore some level of stability. 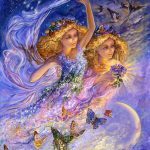 If you pay close attention you may realize that something very fortunate is occurring in your 5th house of love, creativity, and children. 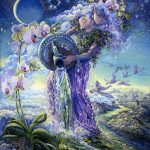 Commitments to nurturing some creative endeavor or love affair are being strongly supported by passion, self discipline, and concrete manifestations of your most cherished visions for the future. You may be encountering opportunities to attract into your life those who can most benefit from who you are and what you have to offer. There is a flow of abundance being directed toward you, giving you cause for a more optimistic approach. As the week progresses you may become more intently focused on growing your career, moving giant steps in the direction of your goals, and busting through previous blockages.